If you're a regular reader of eatsalem.com, you've undoubtedly spotted the "Dinner at the Rafns'" ad on the lower right. And if you're the curious sort of foodophile (aren't we all? ), it's possible you clicked on that link. If you haven't? You really should. Seriously. Over the past two years, I had heard a few Salemites talking about either planning to go or telling about their experiences. I had imagined an intimate gathering of people with some connection to one another, sitting around the Rafns' dinner table handing plates back and forth while laughing and talking. Intimate isn't in my comfort zone, so I shoved it way to the back of the brain. Then one of the eatsalem contributors asked how many of us wanted to join her at their April dinner. "There will be goat cheese", she tempted--N and I made the leap with six others. Amber sent in the reservation request for all of us on Nate and Rochelle's website. I hadn't realized how helpful this would be to our hosts until we arrived. One table had been reserved for our entire group. An email arrived the day before reminding us of our reservation. Directions and parking information were included. I had read on their website that we were welcome to bring our own wine. (I went to Santiam Wine Co and asked amazing Debbie for her assistance--telling her about the menu and how much money I wanted to spend.) After a drive past the bumper to bumper parked cars, we turned around and parked in the designated parking lot a short distance down the hill. I'm not exaggerating when I say the house looks like an enchanted cottage from the road. From the (just enough) ivy growing around the picturesque entrance, the steep pitched roof and the arched window frames, it appeared a painting had come to life. The charmingly rustic door was slightly ajar. N and I were warmly greeted as we stepped inside. The larger seating area, just off of the foyer, was full of attractively set-up dining tables complete with vases of tulips. I spotted our group in an adjacent room where we chose our seats. Nate stopped by our table to greet us and asked if he could open our wine for us. N and I have been twice and plan to go again. Both times there were four delectable courses. I can't even give you highlights, because it was all stellar from the tender, perfectly seasoned goat meatballs to the hazelnut coffee cake with brown sugar streusel. Obviously created by someone with a passion for cooking. It's no secret, to folks who know of them, that Nate and Rochelle's dream is to eventually open their own restaurant. After having attended their monthly dinner twice, I'm excited for both Salem and the two of them. Yet I'm sad that the gatherings at their house will end. I don't know exactly what it is that makes it such a wonderful experience: the ambiance, the gracious hosts, a planned menu, meeting local farmers? Or perhaps it's the carefully crafted combination, just like Nate's cooking. I must say that this was honestly one of the best meals I have had in a very, very long time. Each course was delicious and it's such a creative and unique idea. I wish Nate and Rochelle the best of luck and I am looking forward to my next supper club experience. I am going to second and third the above comments. Lovely meal, great atmosphere, gracious hosts make it a one of a kind Salem dining experience. It is obvious the care that is put into each meal. 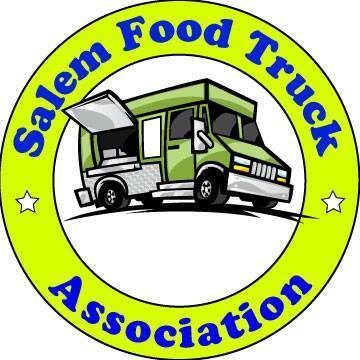 I am excited to see what the Rafns' bring to the Salem restaurant community. Just noticed the mention of Rafns going downtown this summer. Any details of what that is all about? Hi DDD, I just messaged them to ask if they'd mind sharing a few details. from the Rafns-- "All we can say right now is that we are opening a specialty food shop with deli service. We have a number of other things we want to do; some right away, others in the future. So we're not really discussing those publicly right now."